Have you installed iOS 11.4? Once you’d looked at AirPlay 2 and Messages in iCloud, did you happen to take a look at the contents of the security updates? Have you installed iOS 11.4? Once you’d looked at AirPlay 2and Messages in iCloud, did you happen to take a look at the contents of the security updates? If you did you’ll have been disappointed. Apple hasn’t disclosed details concerning the security content of the new software. It hasn’t revealed anything concerning USB Restricted Mode, which apparently makes it harder for people to hack into your device. 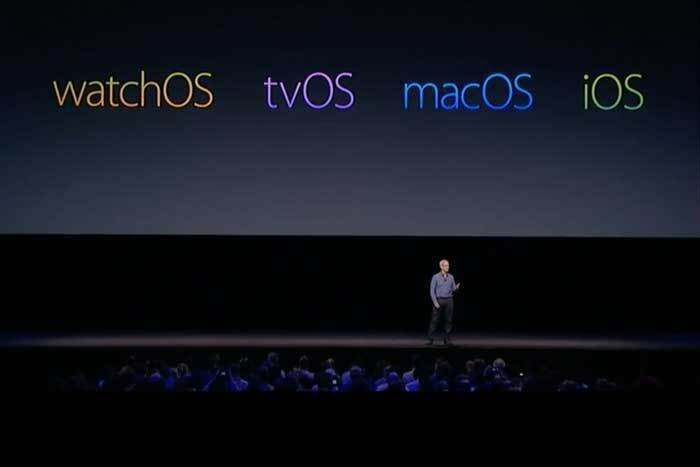 You could speculate that Apple has (not for the first time) hidden a few surprises in the just-released software, perhaps supporting announcements it plans for WWDC? However, if that is the case then why has no one noticed? It’s not as if there wasn’t a public beta test of the software. We know there’s a community of people who take great delight in tearing Apple’s beta code apart to see if they can find any secrets. To use Messages in iCloud on a Mac, users must install the still unreleased 10.13.5 update for macOS High Sierra. Why wasn’t this update introduced at the same time as the other updates? We don’t know. We do know that Apple is already testing macOS 10.13.6. Perhaps there’s a hint on the WWDC website? "This one will bring you out of your shell." "No squidding, you’ll enjoy this one." "This one is guaranteed to make a splash." Count them up (I did) and you'll find at least 115 sessions with placeholder names like these. (Some are repeated). This means that almost half the sessions scheduled at WWDC will relate in some way to technologies Apple hasn’t revealed yet. There are just over 250 sessions listed in all. It’s no great surprise Apple has kept a few aces up its sleeve for WWDC. It usually does. We’ve heard the rumours, read the rebuttals, heard more rumours, and still know we don't know enough. There may be no connection at all between the seeming late release of macOS 10.13.5, the lack of published detail regarding the security content inside the recent iOS-related updates, and the many as yet undescribed WWDC sessions. Decoding this saucerful of secrets gives me the sense that Apple will keep WWDC attendees busy enough to complete the Close Your Rings Challenge without too much effort.